Geelong is a port city located on Corio Bay and the Barwon River, in the state of Victoria, Australia, 75km south-west of the state capital, Melbourne. 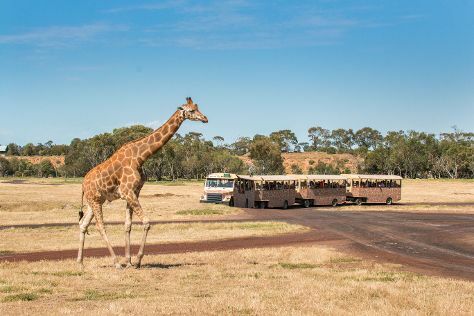 Kick off your visit on the 15th (Wed): tour the pleasant surroundings at Eastern Beach Reserve, then get to know the resident critters at Werribee Open Range Zoo, and then take in the views from Rothwell Bridge. Here are some ideas for day two: cruise along The Great Ocean Road, pause for some serene contemplation at Anglican Church, Barwon Heads, and then take in nature's colorful creations at Geelong Botanical Gardens. For where to stay, ratings, traveler tips, and other tourist information, read Geelong day trip planning tool . If you are flying in from Malaysia, the closest major airport is Melbourne International Airport. In May, plan for daily highs up to 20°C, and evening lows to 8°C. Cap off your sightseeing on the 16th (Thu) early enough to travel back home.